Microphones, one of the most important devices in professional stage recording equipment, have become almost the most technically representative products in the field of professional audio since the advent of Wireless microphone. After years of technological evolution, the area between wireless and cable is also almost clear. 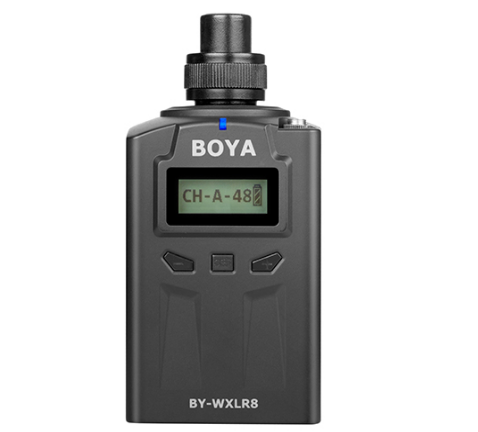 Because of its innate advantages, wireless microphones are widely used by professional singers for indoor performances, and the price of their high-end products is also staggering. The wired microphone is still stable because of sound quality recording market. As technology advances, the development of microphones today places more emphasis on the classification and multipurpose options of different locations, and the definition of wireless and wireline is increasingly blurred. With the development of wireless audio technology, wireless microphone has become one of the most prominent and dazzling microphone families ever since the end of last century. Professional wireless microphone high technology content, high prices and its excellent convenience makes it the highest indoor show in the lead. However, due to its harsh environmental requirements and many other factors such as price, application problems in other specialized fields such as recording and outdoor performances have been difficult to be solved. The wired microphone because of its inherent sound transmission advantages, has remained stable in half, even in recent years due to its price advantage, occupies a considerable share of indoor occasions. 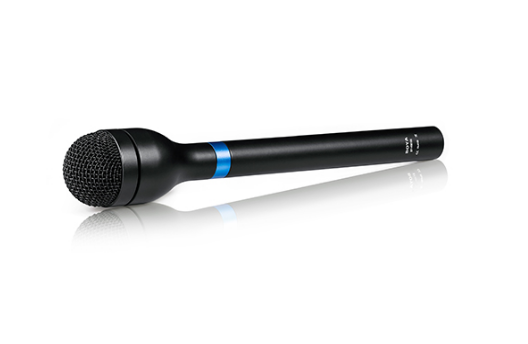 Wireless microphone portability, wired microphone excellent sound quality and stability are the biggest advantages of both. In recent years, with the development of wireless switching equipment, some manufacturers began to try to produce dual-purpose microphones, but the technical and stability needs to be improved. I believe in the near future, combined with wired and wireless dual microphones will become the trend. 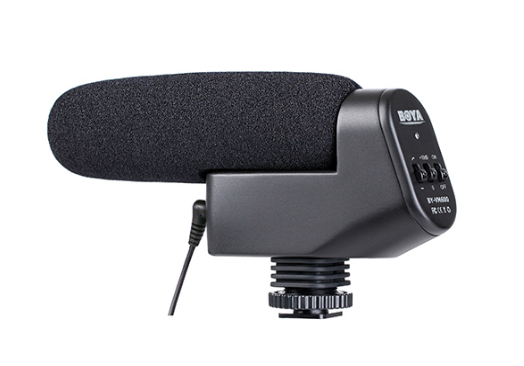 Many performers use the hand gripping the way the microphone is used, which is the most bad gesture that seriously damages the sound quality and directivity of the microphone. Using the microphone in such a posture, even if the most expensive microphone is selected, the original Good features lose tone. In the past, the object of the microphone was only a singer. This part of the crowd who is in charge of the microphone will pay attention. Nowadays, many microphones are also used by those who work in the anchor industry. Therefore, many brand microphones are also more common people. In the microphone, the so-called "moving coil" refers to the wire coil is closely connected with the diaphragm, according to changes in sound pressure, continuous movement in the magnetic field generated in proportion to the amplitude of the sound wave current, so that the acoustic signal into electric signal. 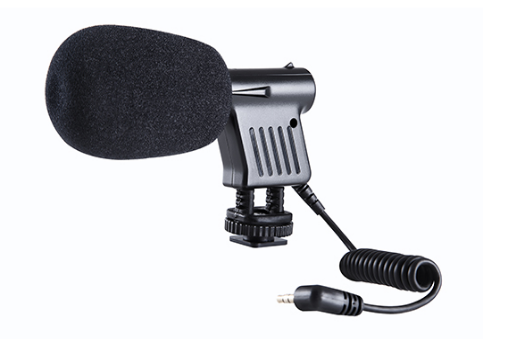 Since dynamic microphone can generate electric current by coil cutting magnetic field, dynamic microphones do not need to be powered, which is the biggest advantage of such microphones. The disadvantage of moving-coil microphones is that the diaphragm responds slowly to rapidly changing sound waves due to the influence of the wire coil. Dynamic microphone are often used to record the sound of electric guitar speakers and vocal recordings, which seems to have become a "tradition." Although many condenser microphone are designed to record live vocals, the unit price of condenser microphones tends to be high, and everyone prefers to use dynamic microphones for their work. The design of the Condenser microphone is based on the principle of electrostatics. The diaphragm of the microphone and the backplane form a complete capacitor unit. The vibration of the diaphragm with the sound wave causes the potential difference between the microphone and the backplane to change, so that the acoustic signal is converted For the electrical signal. 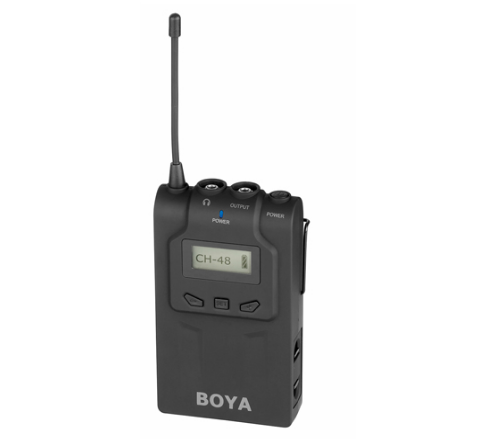 In general, capacitive microphones have built-in amplifiers due to the weak output of the capacitor unit, and require an external 48V phantom power supply or battery to power the unit. What does a shotgun microphone do ? Shotgun microphone: The purpose of using these devices is to enhance the ability to pick up axially while attenuating side-annoying noise. In other words, let the microphone play its directivity as much as possible, in order to avoid unwanted noise and ambient sounds. To do this, the system must block signals in unwanted directions and postpone the input of these signals. So its operating principle is based on the phase offset effect. First of all, the system has series interference tubes of different sizes, allowing the signals in the axial direction to arrive at the same time, and forcing the signal in the non-axial direction to reach the delay time. He has many inventions, but also joined the current gun-type Mike R & D team. In the original design, in order to maintain good directivity, it is necessary to add more interference tubes to make the microphone powerful enough to cope with the work. The volume is very large and very inconvenient. Later, in order to solve this problem, the design changed to a multi-slot interference tube to replace the old-fashioned interference tube. These slots allow the sound beyond the axial reach to the diaphragm, so when it comes into contact with the sound source, the noise is greatly attenuated. On the other hand, the longer the microphone can be designed to make the pickup angle more narrow, so the more directivity of the microphone, more importantly, the correct axial arrangement. If we do not understand the axial. In an echoed space there will be diffuse, especially early reflections, the color of the signal part. Ideally, the microphone depends on the angle of the transform, if the sound is a correlated signal or just a noise. When both the signal and the noise are reflected on the nearby surface, it is an "unnatural" angle for them to enter the microphone (if we consider the sound track in the natural direction). How to provide power to a lavalier microphone? 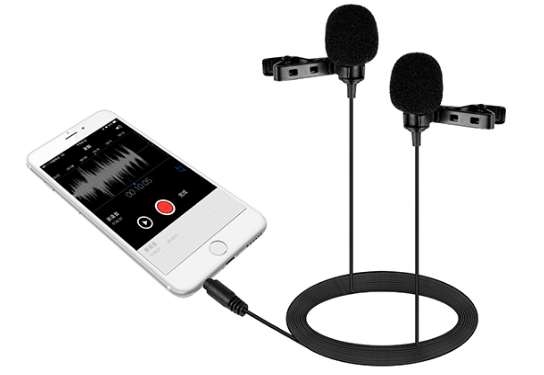 Many users see TV programs that use the Lavalier Microphone to sound very well and have also used the microphone to amplify the sound in the field with less than satisfactory results. This is not the Lavalier Microphone itself quality problems, but because the microphone is worn too far away from the mouth, the microphone in the field when the microphone with the speaker system speakers produce feedback sound physics, can not arbitrarily increase the volume, so the PA not effectively. 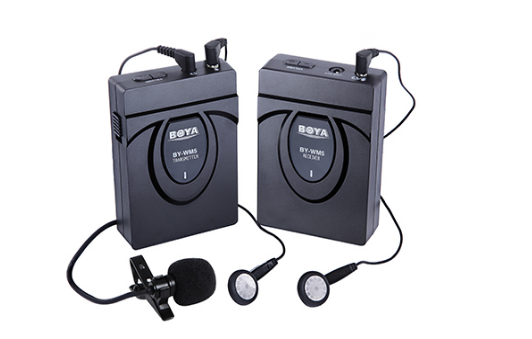 As the Lavalier Microphone worn on the chest, away from the mouth, the output volume will be greatly reduced, if the amplifier volume is large, it is easy to produce audible feedback, which is generally the microphone user often encountered problems. If you want to enhance the microphone volume, but also produce no feedback, the only way is to use the "microphone volume and the source inverse square inverse distance" principle, the microphone and the mouth of the distance closer to the microphone can be greatly louder The promotion. Adjusting the position of wearing the microphone and adjusting the sound head at the position of "near both the left and right of the mouth" can reduce the noise of the gas explosion and obtain the desired sound volume and normal sound quality. Headphones used in the headset are: omnidirectional and unidirectional two, the former, because the first non-directional head, when worn as long as the "tune the sound on both sides of the mouth, from the mouth about a finger distance, And close to the mouth perpendicular to the direction of ", you can obviously avoid gas explosion noise, to achieve the clearest sound. After the actual test, "the microphone head and mouth to keep the front of a finger about the distance between the mouth and keep a 45-degree horizontal direction" is the ideal position to wear, to avoid the destruction of gas explosions, but also to show Optimum sensitivity and sound quality, if the sound head position than the front corner of the mouth, by the impact of the sound of the explosion will be greater, although the use of windshields such as sponge, you can slightly reduce the impact of air noise and wind noise, but how much Will also undermine the face of view and attenuation of the high-frequency response of the microphone.